Dalhousie is among the most visited hill stations of North India and is famous for its pleasant climate. Huge inflow of tourists can be seen around the year, as the weather stays temperate in every season. 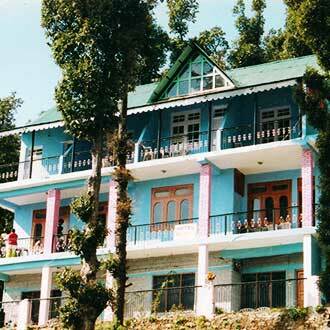 Dalhousie attracts tourists from near and far throughout the year, primarily due to its cool and pleasant climate. The winter season is considered as the best to enjoy the impeccable beauty of this hill station. It is during the months of December and February when snowfall occurs and engulfs the entire area in a white blanket. Tourists can enjoy plenty of fun activities on snow covered slopes. The summer season starts in March and continues till May. This is again a very good time to visit Dalhousie as you can enjoy the scenic beauty, as well as nature walks and sightseeing trips in the pleasant weather. The months from June to the middle of September experience mild showers. During monsoon season the charm of Dalhousie is at its peak as the entire valley dons a fresh look. This time is perfect for the admirer of nature to plan short trips and explore this place. December to February – Chilly weather in winter season makes Dalhousie an ideal destination for vacationers and honeymooners. Temperature usually dips below zero degree and can reach up to –10°C, due to snowfall occurring during these months. March to May – summer is the best season for visiting Dalhousie as the weather remains pleasant for sightseeing and enjoying its impeccable beauty. Treks and nature walks can be best enjoyed during these months. June to September – Lush valleys and verdant mountains become alive as the monsoon season arrives in Dalhousie, bringing along moderate showers and drizzles. Heavy woolens are required to stay comfortable in this chilling weather. Extremely cold January is among the coldest months that this region witnesses. It can become difficult to move around in the month of January as the roads are covered with snow. However, a lot of people like to come to Dalhousie during this season to enjoy fresh snowfall. It is also the best time to avail discounted travel packages offered by hotels located in this area. Very cold The cold wave and snowfall continue to add chill to the weather during the month of February as well. It is not considered a favorable time for aged people, as well as kids, to travel to Dalhousie because of extreme climate, which can cause them inconvenience. However, youngsters and couples come in huge numbers to enjoy the pristine beauty of this hill station. Moderately cold As the month of March starts, the temperature also begins to rise. While the nights are still cooler, the days are made pleasant by soft sunshine and clear sky. It is considered as the best time to visit Dalhousie and enjoy sightseeing and adventure activities. Although snowfall does not occur in this month, still you can see some snow on mountains and slopes. Pleasant In April the temperature starts to rise and the days become warmer, while the nights are quite chilly. This time is perfect to enjoy outdoor activities like picnics with your family and friends. You can partake in adventure activities, enjoy sightseeing and visit local attractions as well. Those who want to enjoy snow can visit the areas at higher altitude. Moderately hot May is mostly cloudy with sun shining in between and making the days warm. The evenings are pleasant. It is a perfect time for enjoying sightseeing trips and other outdoor activities. Rainfall can also occur on some days. Tourists prefer to visit Dalhousie during this time and indulge in zorbing and plenty of aero sports. To see snow tourists can visit high altitude areas. Moderately hot The month of June brings along monsoon season. It is during this time that the entire valley dons a refreshing and charming look. The impeccable beauty of Dalhousie is enhanced even more by occasional showers. Nature lovers can spend their time marveling at the incredible scenery that surrounds them. Trekking is among the most popular activities that tourists love to indulge in here. Rainy The rainfall becomes more consistent in July and can be expected on most of the days. Although this is not a favorable time to indulge in adventurous activities, but the natural beauty this place is blessed with offers tourists enough splendors to marvel at. This is certainly the best season for leisure seekers, nature lovers and couples to spend some secluded moments in the lap of nature. Rainy Rainfall continues to enhance the charm and beauty of Dalhousie during the month of August as well. Clouds keep covering the sky, making the days quite pleasant and somewhat cold. Not many people prefer to visit Dalhousie in August. As not much tourist activity is seen during this month, thus the rates of hotels and holiday packages are lower in comparison to other seasons. Pleasant In September, the rains begin to subside and the sun starts to shine again, adding a charming glow to the pristine natural surroundings. The weather is quite pleasant and cool. This is the best time for tourists to indulge in adventurous activities in Dalhousie. Tourists can also visit the various local attractions, go for sightseeing or just spend their time enjoying nature walks. Moderately cold Pleasant weather makes October an ideal time for planning a visit to Dalhousie. Cool wind and clear sky welcomes you to enjoy the best of local attractions, sightseeing trips and other activities. Tourists of every age group, be it children, youngsters, couples or aged people, can make the most of their trip in this season. As the month ends the temperature also begins to dip. Moderately cold The weather starts to become somewhat cold in the month of November. However, tourists still love to visit Dalhousie during this season for partaking in adventurous activities and sightseeing. Officially, this is also the last month for visiting Dalhousie. This is because after November this region experiences extremely cold temperature and snowfall, making it inconvenient to travel, especially with kids. Extremely cold December is among the coldest months and requires extra care if travelling to Dalhousie in this month with aged people or children. Snowfall can be expected at the monthÃƒÂ¢Ã¢â€šÂ¬Ã¢â€žÂ¢s end, when the entire area is engulfed by a white and pristine cover of snow. This might not be the ideal time for planning a trip to Dalhousie with your family and friends.